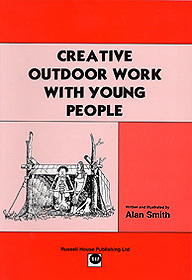 "....promotes independence, challenge and imagination as well as teamwork and co-operation." 95 successfully tried and tested activities and games covering everything from finding the way through to camp activities, planning and safety and creative use of the environment. 176 pages with lots of amusing illustrations. ISBN 1 898924 25 2.